Written by Miranda Cooper, Lisa Cowling, Nick Coler and Brian Higgins / Xenomania. Published by Warner Chappell / Xenomania Music. Keyboards and Programming by Brian Higgins, Tim Powell, Nick Coler and Matt Gray. Guitar by Shawn Lee and Nick Coler. The song was released as a single on 18 August 2003, becoming Girls Aloud's third consecutive single to chart within the top three on the UK and Irish Singles Charts. 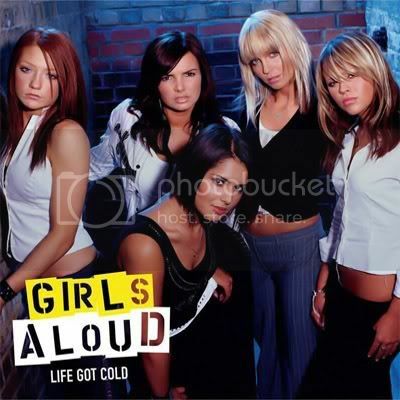 "Life Got Cold" was the final single to be taken from the original edition of Girls Aloud's debut album, Sound of the Underground. Peak position: #3 in the UK singles chart. "Life Got Cold" was a late addition to the Sound Of The Underground album - one of a handful of tracks Xenomania added near to the album's completion. Brian Higgins says that despite his confidence in the song he wasn't prepared to take the idea of a Girls Aloud version seriously until the band had sung their own version, because a track working "has always got to be based on an artist's performance, not the music itself. But they sang is, and they really nailed the melancholic aspect of it, and it sounded beautiful". The song received attention because of similarities between the guitar riff of "Life Got Cold" and that of the 1995 Oasis hit "Wonderwall". Warner/Chappell Music has since credited Oasis songwriter Noel Gallagher. x "Life Got Cold" is great - it's not yer typical shite ballad, it's their whole Council Power! thing given added impetus by its sheer dead-eyed blankness. You've got these five teenagers intoning lines like "we skate as we date as we slowly suffocate" and it's so resigned to the sheer ordinariness of life that it's terrifying. It's "Pretty Vacant" made flesh.